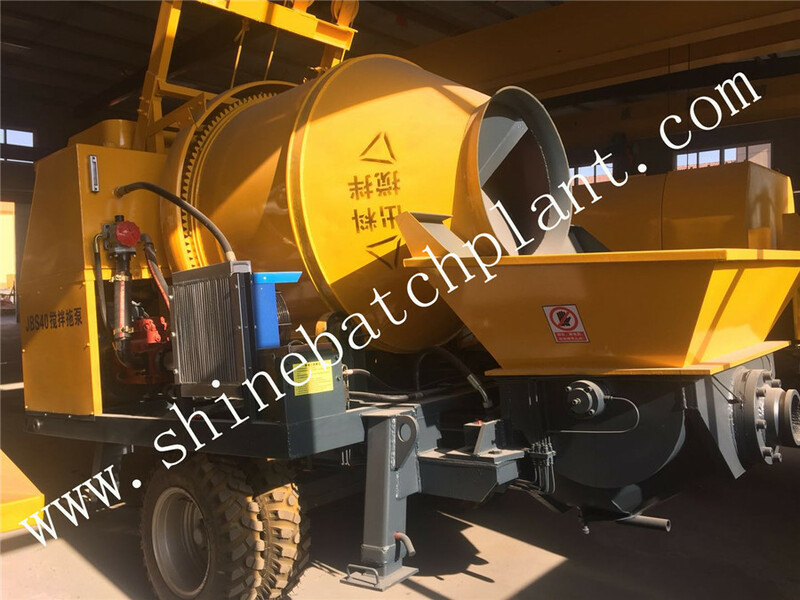 40 Concrete Mixer Pump is a very convenient small concrete construction equipment. 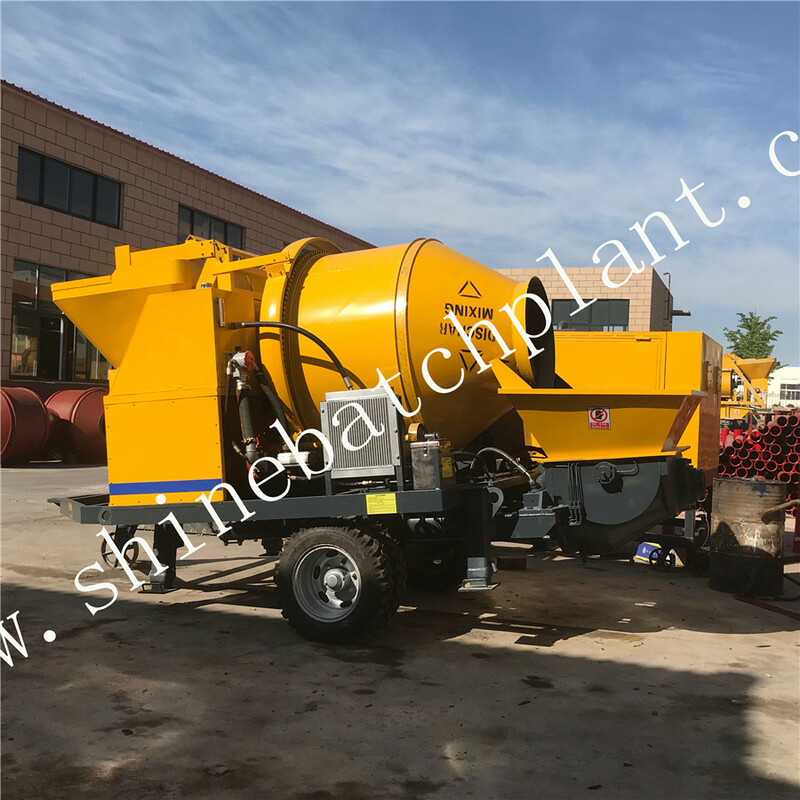 The Concrete Pump mixer can mix the material directly instead of using Concrete Batching Plant or Mobile Concrete Batch Plant . 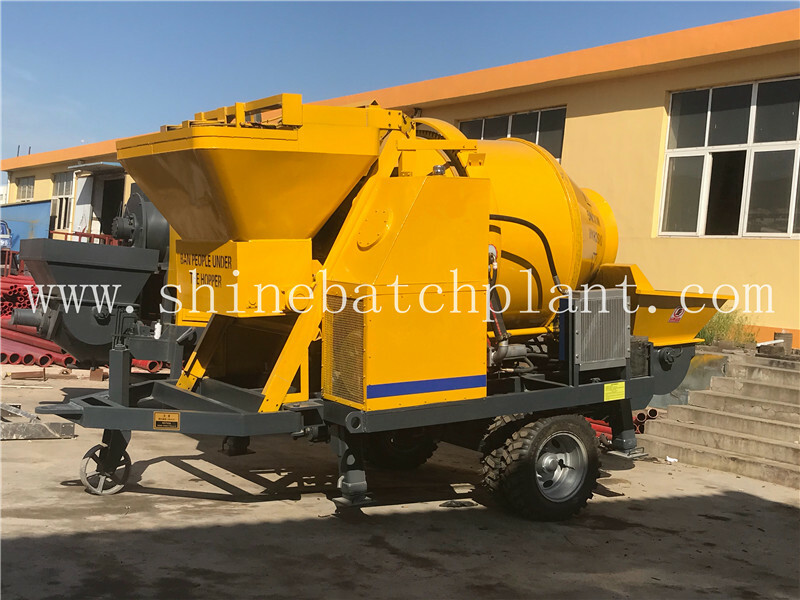 Concrete Mixing Plant or Mobile Concrete Plant normally is used for medium or big project . 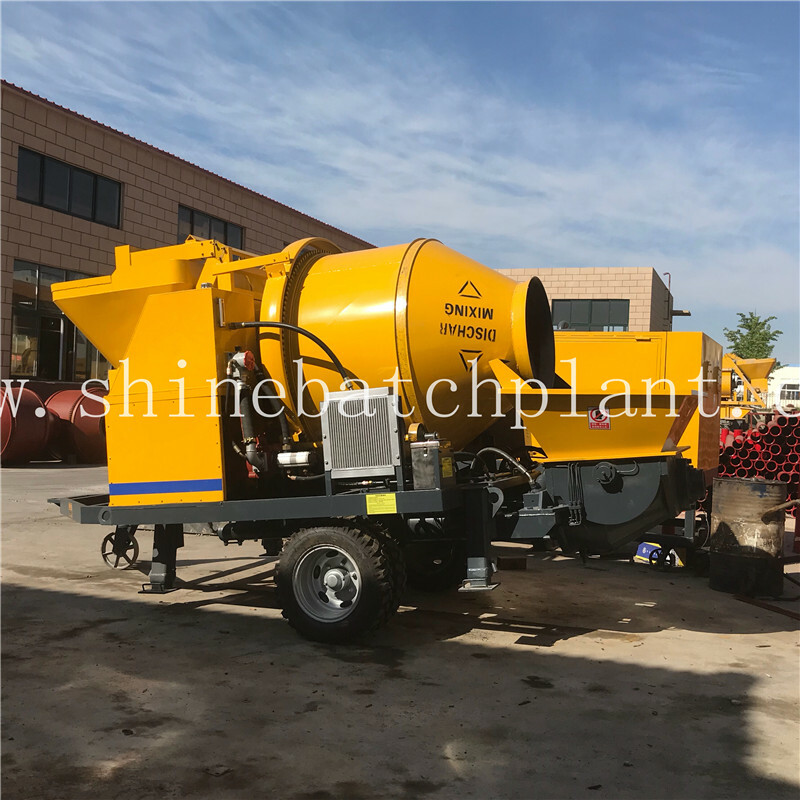 JBS40 Concrete Mixer pump is mainly used in small project or personally . The operation is very convenient and it is mobile . it is very popular in Southeast Asia market or africa market . 1.Double open hydraulic loops (pumping hydraulic circuit is independent of distributing hydraulic circuit) with two pumps, makes the whole hydraulic system much simpler. The reliability of the whole system is also much higher as well as the components` life is prolonged greatly. This is convenient for judgeing and removing trouble. 2. Large valve changing direction, makes the main pumping loop quick response, small leakage, good stability,high reliability and high resist contaminative capability. 3. Hydraulic system has safe relief protection,at the same time,when the system pressure is over, the main oil pump cutting device makes itself be protected reliably. 4. Distributing hydraulic circuit adopts constant pressure pump, which can provide strong distributing pressure and economic energy control. 5. Cone sealing of all pipes make the pipe joints seal reliably. 6. The high-low pressure switch adopting cartridge valve of reduces the trouble of dismantling and installing the oil pipe. 7. Adopt emulsification technology of initiative and passivity recovery integration. 1. Compared with domestic product, the electric control system is simplest, the element quantity is fewest and its reliability is highest. 2. The wire remote equipment is convenient for operation far away. 3. Adopting proximity switch in hydraulic cylinder can realize changing direction with non-touch, which ensures that the direction can be changed reliably. 1. The design of hopper and S valve and so on adopt I-DEAS software to caculate, the hopper and S valve have good rigidity to avoid the phenomenon of hopper distortion and S valve breakage. 2.The agitator have unique form, which separates the hydraulic motor from agitator bearing pedestal.At the same time, adopting large displacement motor ensures that the agitator moment is big enough. 3. Make sure the pumping is good and decline the phenomenon of pipe jam, the spectacles wear plate and cutting ring should be useed in lower abrasion. Xinsai`s spectacles wear plate and cutting ring use high wear material, making the components` life prolonged greatly. The radiator equipment makes the working oil temperature of hydraulic system below 70℃ and makes the machine in normal status. 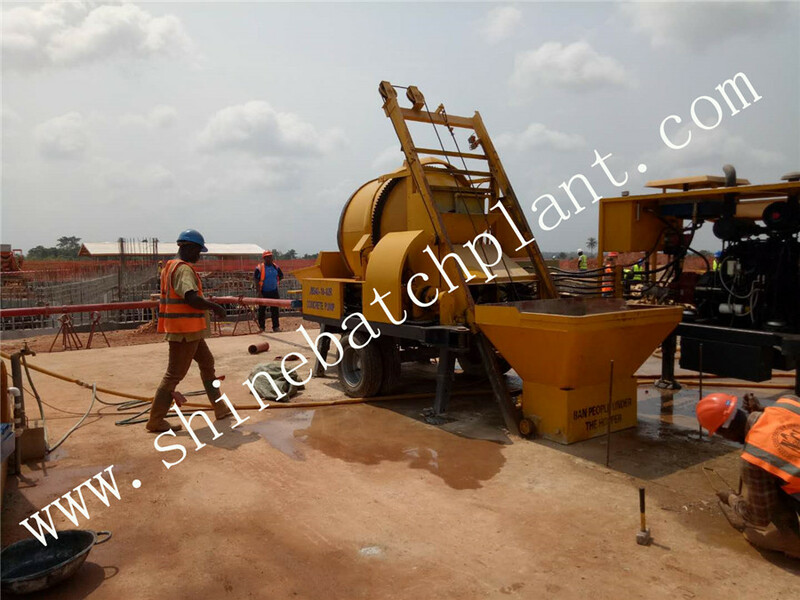 Looking for ideal 40 Concrete Pump Manufacturer & supplier ? We have a wide selection at great prices to help you get creative. 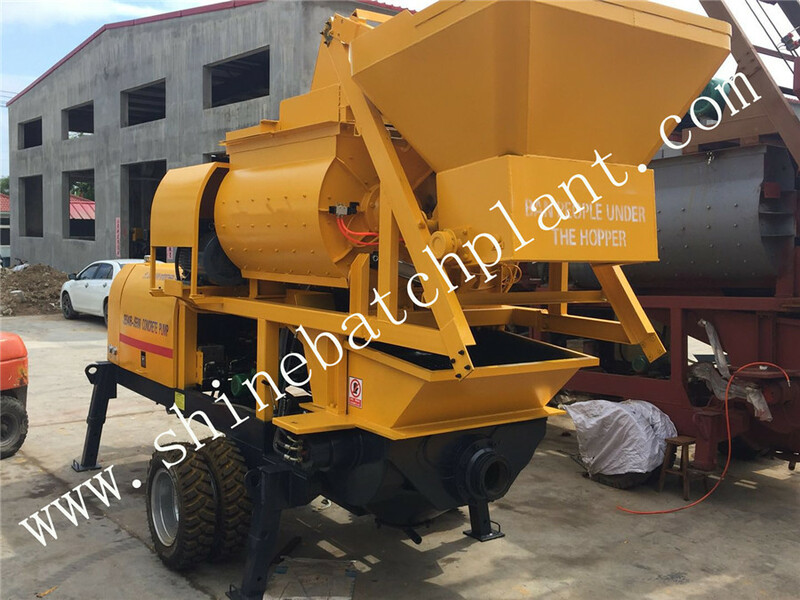 All the Concrete Pump Mixer are quality guaranteed. 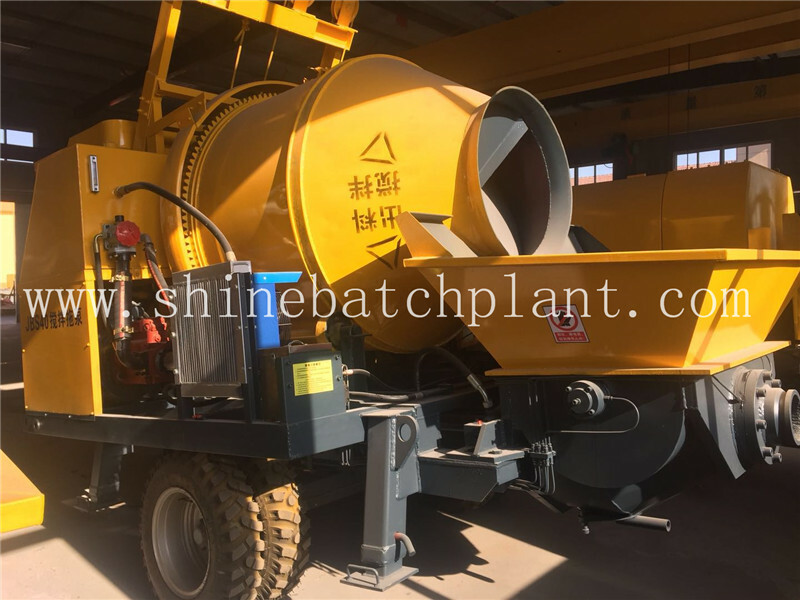 We are China Origin Factory of 40 Concrete Pump With Mixer. If you have any question, please feel free to contact us.